The latest picture from Borderline Films is James White, a New York-set drama concerning an aimless twenty-something (Girls‘ Christopher Abbott) whose shaky way of life is thrown into focus when his mother (Cynthia Nixon) is afflicted with a debilitating illness. If that already sounds grueling and grim, bear in mind that Borderline also happens to be the company behind Afterschool, Martha Marcy May Marlene, and Simon Killer — works that you may not respond to, sure, but nevertheless ones that stand apart in their unsparing quality. This also seems to be the case with White, which we reviewed (and quite liked) when it played at Sundance earlier this year. As our review said, “While lesser, perhaps more commercial films might shy away from the actual process of decay and loss, Mond displays no fear in vividly walking us through the bleak events in James White’s journey. Some of his moments of unabashed anger may come across as overwrought and pre-calculated, but Mond’s raw, unflinching approach goes to great lengths to provide a tangible reason for our lead’s internal struggle.” With the vision exuded by Mond, cinematographer Mátyás Erdély (Miss Bala), and Abbott & Nixon, what results is “a searingly authentic portrait of the process.” This may be a tough sell, but, judging by most reactions, viewers will come out feeling they’ve made a wise investment. 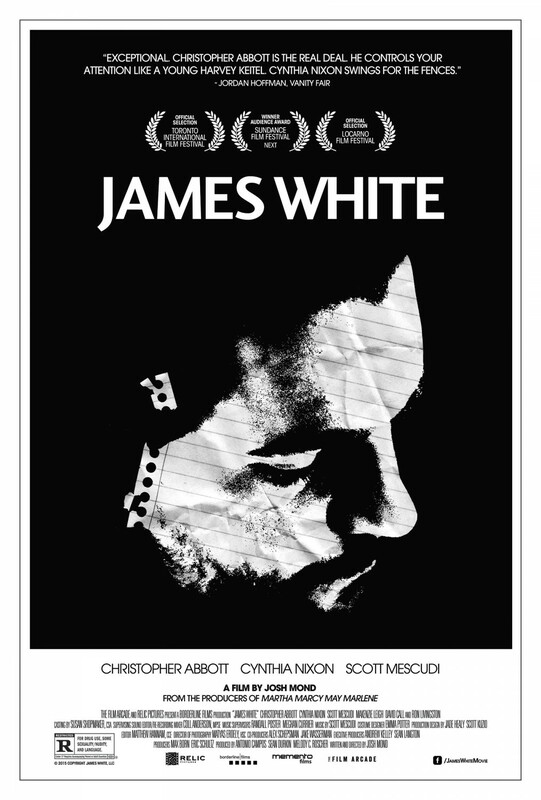 James White enters a limited release on November 13.